Mississauga, Ontario (July 10, 2017) — aquatechnik NA is pleased to introduce the new aquatechnik Fusion-Tech UV Black PP-RCT 125 and PP-R Super 80 pipe and fittings to the North American marketplace. 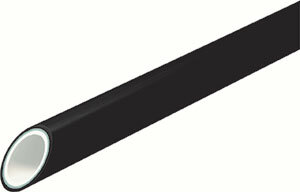 Fusion-Tech UV Black piping features a proprietary UV-resistant additive built into the resins for the outer layer of NSF-certified aquatechnik fusion pipe, as well as fittings. The piping meets the certification requirements of the NSF/ANSI 14 standards. It may be extruded in piping diameters from ½-inch through 16-inch. Fusion-Tech UV piping excelled during independent testing, which involved an accelerated aging process that lasted 10,000 hours. Special Weatherometer instruments measured the effects of light, oxidation, and moisture on the pipes. With an overall UV radiation nearing 800 KLy, the test did not show any significant change in physical or chemical characteristics of the material. Importantly, the aquatechnik UV solution clearly avoids issues faced by other manufacturers who use paint or jacketing of their pipe. 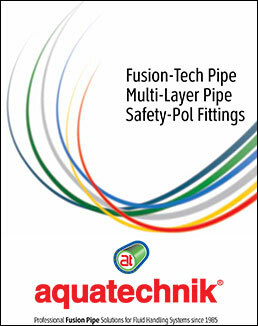 The Fusion-Tech UV Black pipe and fittings solution is a significant innovation within the plastic piping category, according to aquatechnik NA..
About aquatechnik North America: aquatechnik NA is the exclusive distributor of aquatechnik PP-RCT 125 and PP-R Super 80 fusion piping solutions for fluid handling systems in the United States, Canada, and Mexico. The company distributes aquatechnik products through authorized regional distributors to qualified professional piping contractors who are aquatechnik trained and certified.